COPPRclay™ metal clay provides an incredible artistic range. And, because it is copper, it is also so cheap that you can use it for large pieces—even sculptures—very affordably! Like its precious-metal counterparts, COPPRclay can be pinched, rolled, sculpted, cut or manipulated any way you like. Then fire it, and the binder burns away, leaving a solid, pure copper object. Create jewelry, jewelry components, or custom-crafted specialized tools. 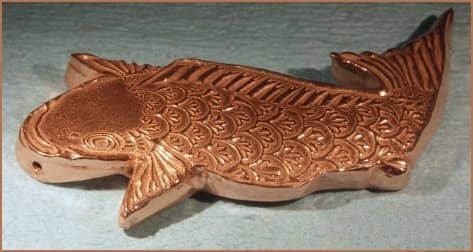 You can even practice new techniques or design ideas using COPPRclay, then apply your new skills to precious metals. And because COPPRclay is pure copper, it’s great for artists who enjoy applying enamels . 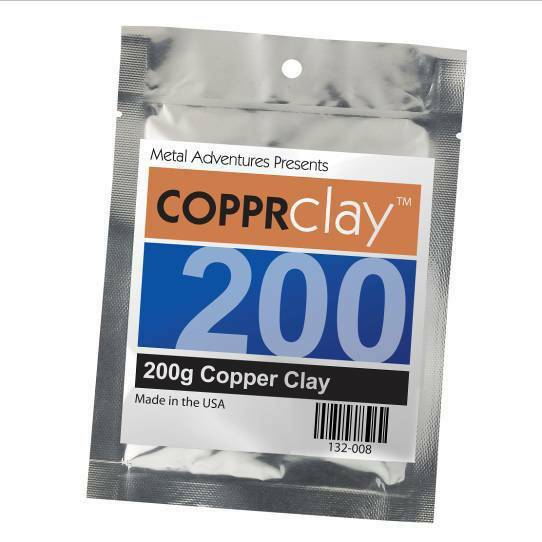 Package includes 200g of COPPRclay™ metal clay. • If the clay becomes a bit too dry as you're working, spray a small amount of distilled water on the clay to help improve its pliability. • COPPRclay™ returns the best results when fired in a firing pan, surrounded by coconut shell–based carbon, inside a kiln. Firing pan and coconut shell–based activated carbon available separately. See the instruction sheet with your COPPRclay for details on all firing methods. • If you plan to enamel the piece, please follow the recommended firing schedule listed in the instructions. Firing Temp. : Ramp at full speed to 1,700°F–1,800°F (927°C–982°C) and hold for 3 hours (total firing time, including ramp-time, will be about 4 hours). Most firings perform well at 1,700°F; however, if you discover that your pieces are not sintering properly, try firing them at 1,800°F. If blistering occurs at 1,800°F, slightly decrease the firing temperature. If you plan to enamel the piece, please follow the recommended firing schedule listed in the included instructions.